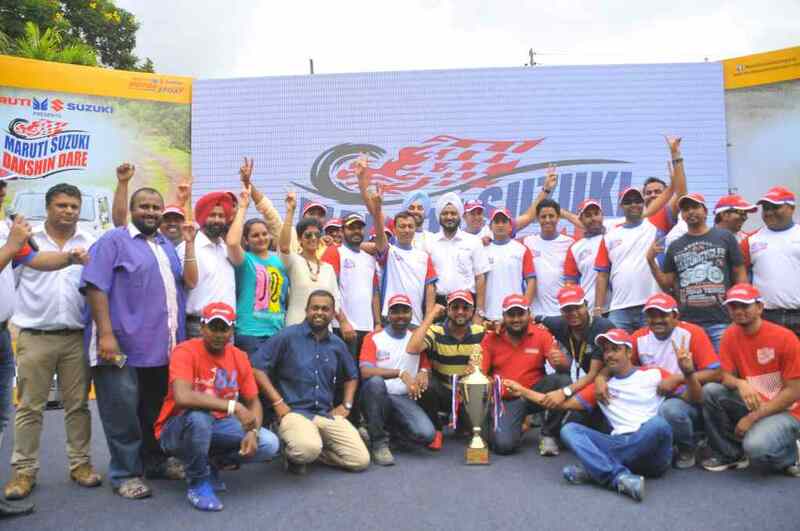 The 8th edition of the highly popular Maruti Suzuki Dakshin Dare rally came to its closure yesterday after the contestants endured a journey of 2,200 kilometres in the grueling six days of competition. 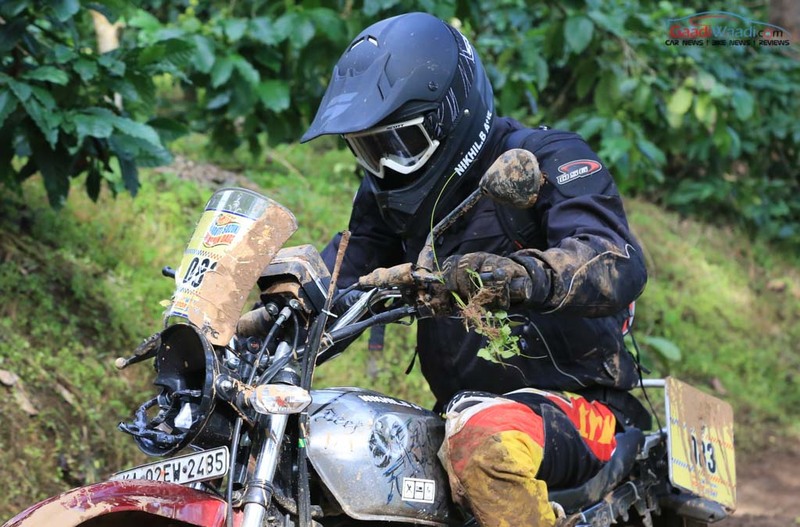 Passing through the enthralling landscapes of South India, the final day began at the scenic Goa with everything at stakes as rallyists put their skills on online to be crowned as champions. 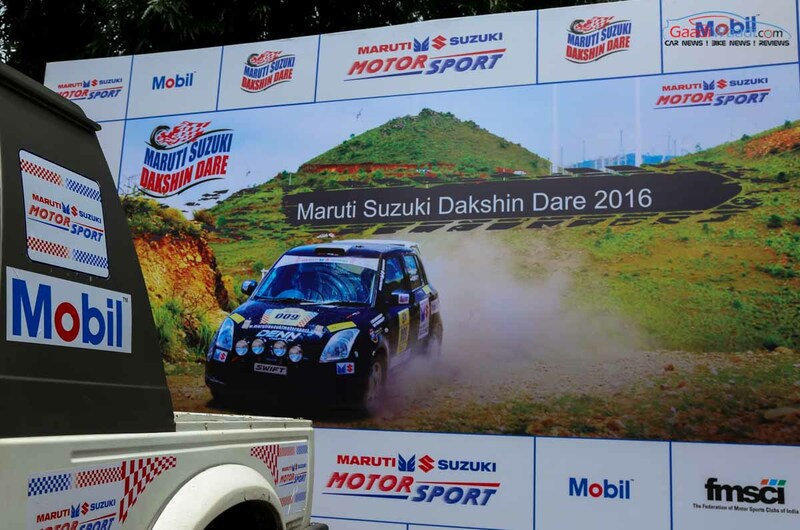 Mobil is the official lubricant partner for the 2016 edition of Maruti Suzuki Dakshin Dare. 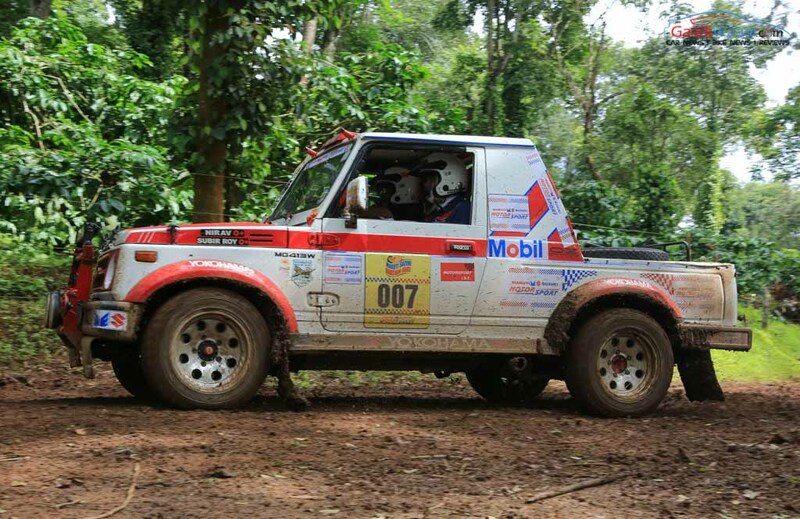 In India, Mobil has been an integral partner with leading OEMs and award-winning race teams and is associated with Maruti Suzuki Motorsport’s local but highly prestigious events – Desert Storm, Dakshin Dare and Raid de Himalaya. 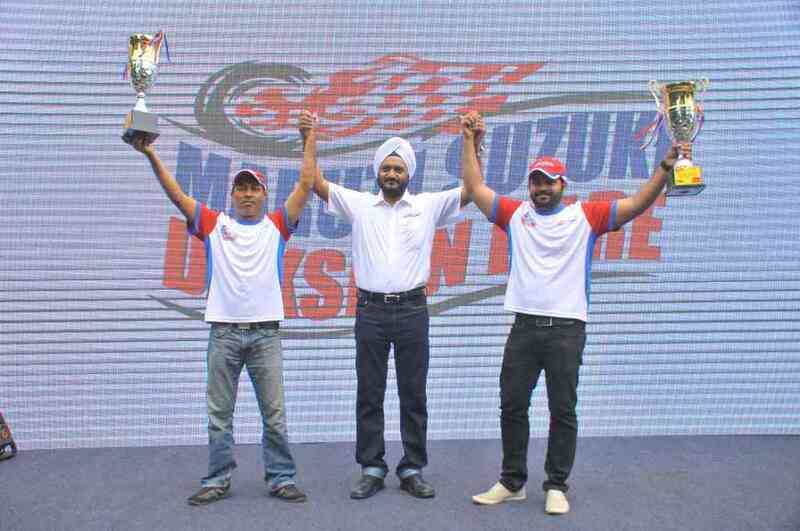 The nine-time Raid De Himalaya winner Suresh Rana and co-driver Parminder Thakur driving Grand Vitara for Team Maruti Suzuki utterly dominated the rally as they clinched the title in the Ultimate Cars category while Ganesh Moorthy and T Nagarajan proved their supremacy in the Endurance Cars category with thousands of spectators watching. 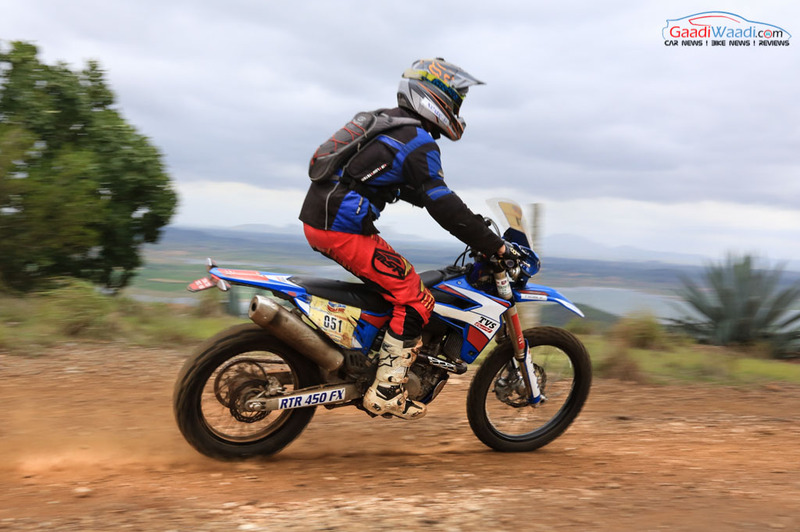 Rana’s victory margin of 00:06:06 showed how tough the competition was as he kept his head cool in the stages and crossed the finish line for his maiden triumph. 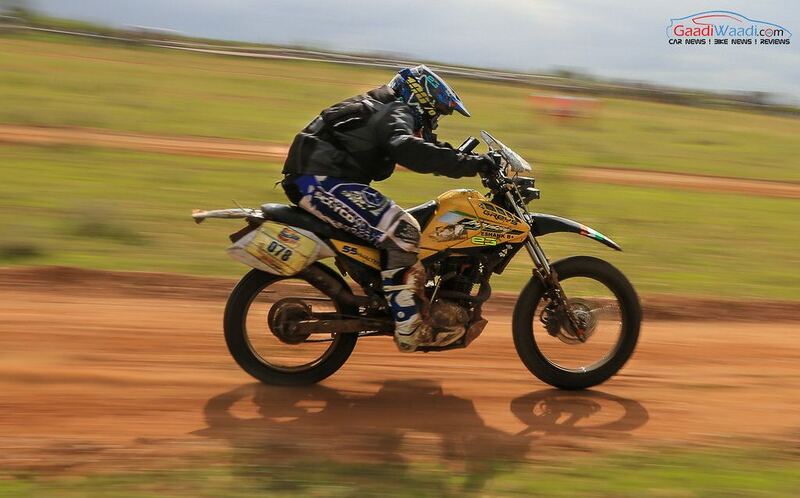 T Natraj had a huge victory in the Ultimate Bikes category covering the entire distance in his rally-spec TVS Apache. Raghu Nandan and M Prakash managed to prevail in second in the Endurance Cars category followed by Karthick Maruthi and Sankar S Ananad in third. 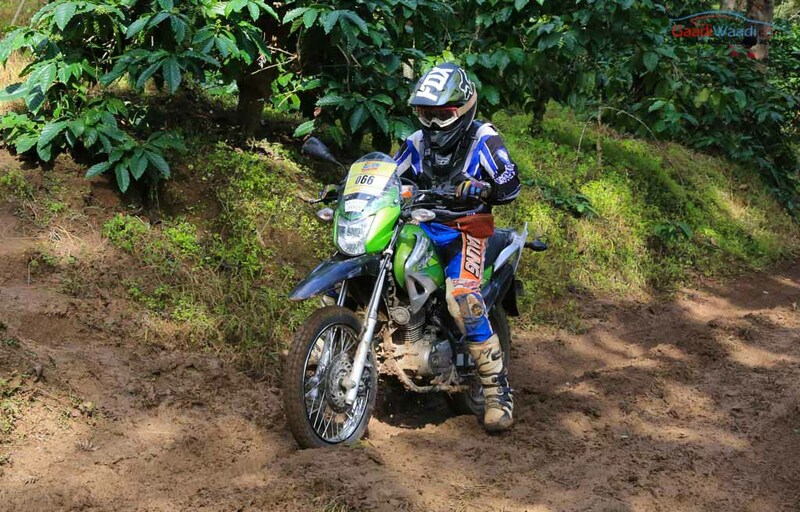 The endurance rally comprising of long-distance timed legs and special stages commenced in Bengaluru last Sunday as the relentless terrains and off-roading patches tested the talents of 190 participants, including 16 women competitors, through Coorg, Shimoga and ultimately Goa. 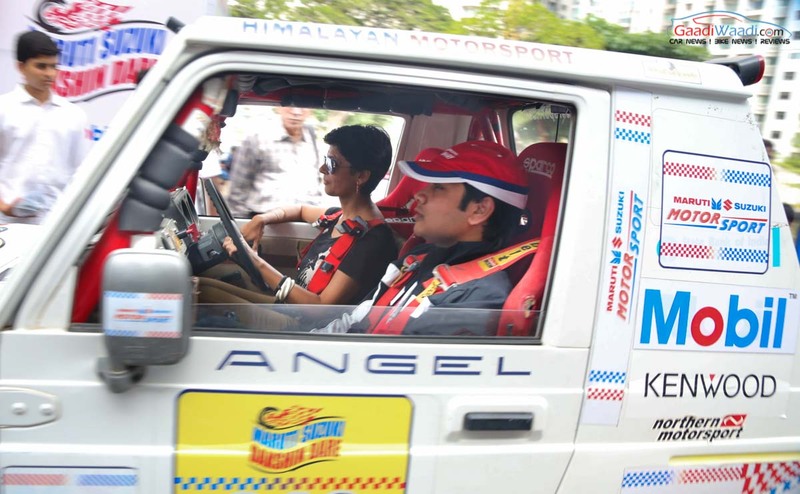 Bani Yadav and her navigator Pankaj Rai led in the Ultimate Cars category with a highly impressive 9th overall finish. 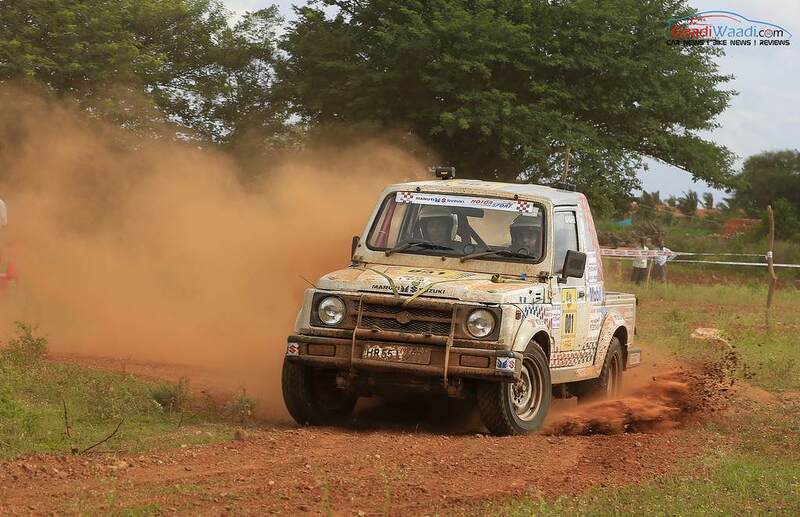 The Ultimate Cars category saw Sandeep Sharma and co-driver Karan Arya taking the chequered flag second driving the Maruti Gypsy ahead of Jasmohan Saini with co-driver Vikram Thakur also maneuvering the same machine. 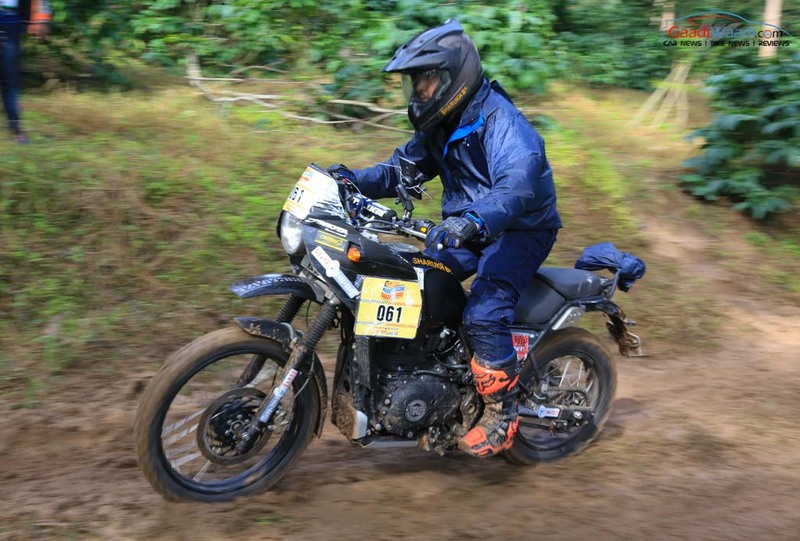 In the Ultimate bikes category, Febin Jose riding TVS Apache secured second while Akash Aithal riding his Royal Enfield 500 stood in the final step of the podium. 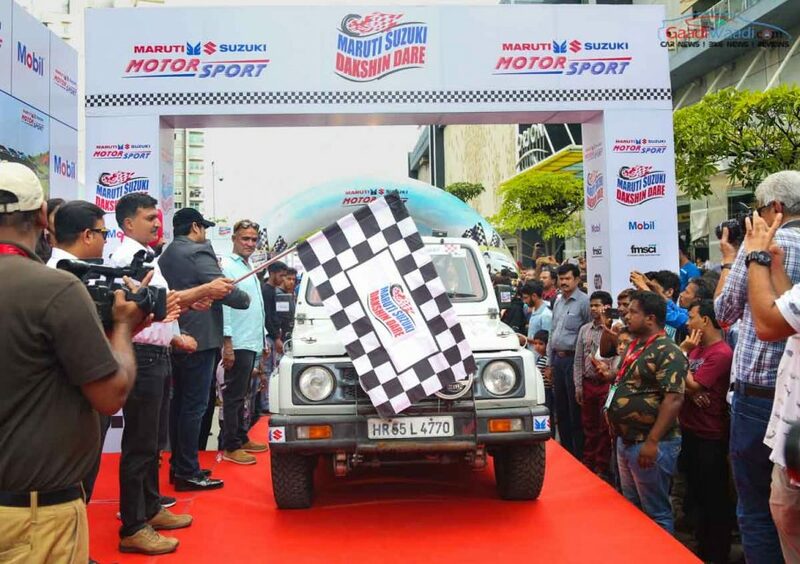 This year, Mobil and Maruti Suzuki have come together for the rally with Mobil as the official lubricant partner of Maruti Suzuki Dakshin Dare. Mobil enjoys an established legacy as a product technology leader with the highest level of expertise, working side-by- side with leading OEMs and component builders in India. Mobil’s collaboration with Maruti Suzuki is premised on Mobil’s high performance lubricants and technology leadership. 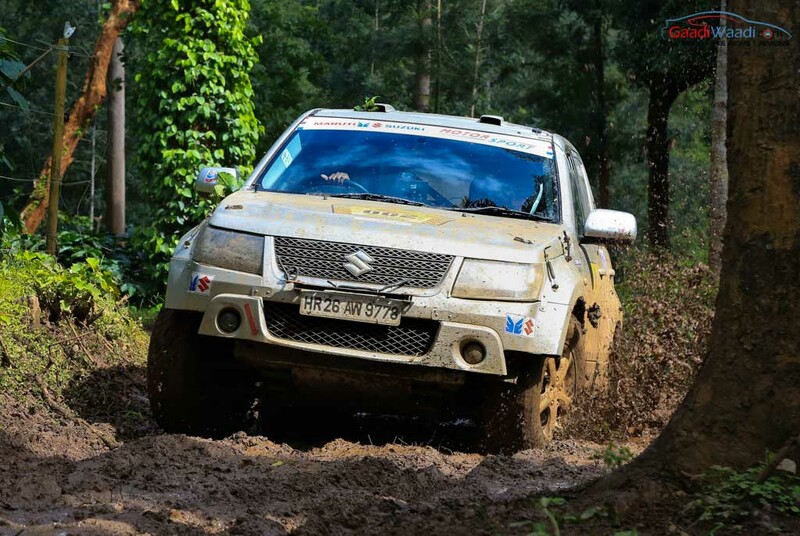 The ultra competitive Maruti Suzuki Dakshin Dare rally has had penultimate day of the competition completed today before moving to Goa for the final stages in the last day. 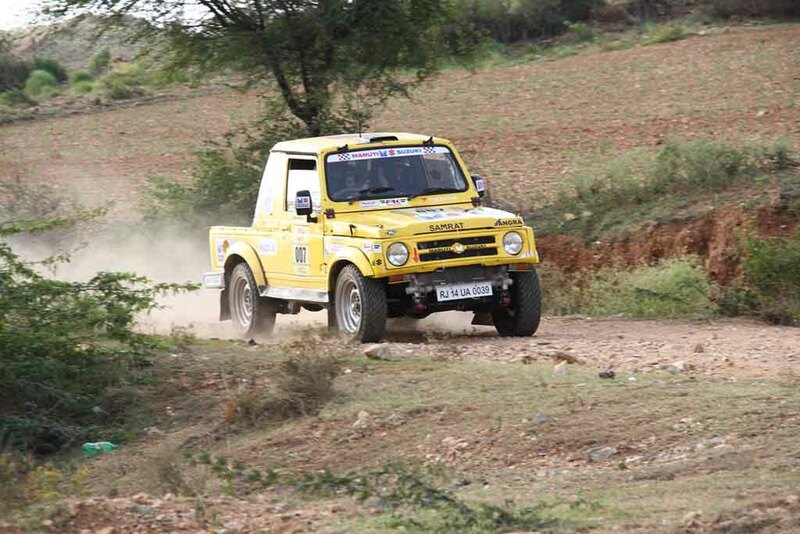 In the middle of scenic landscapes, Suresh Rana and co-pilot Parminder Thakur maintained the lead. 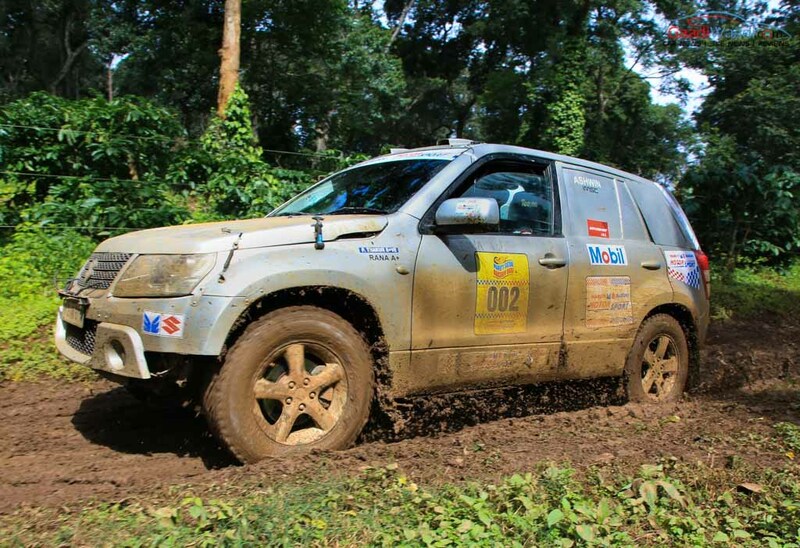 Driving Grand Vitara, they mastered the leg in 06:17:03. 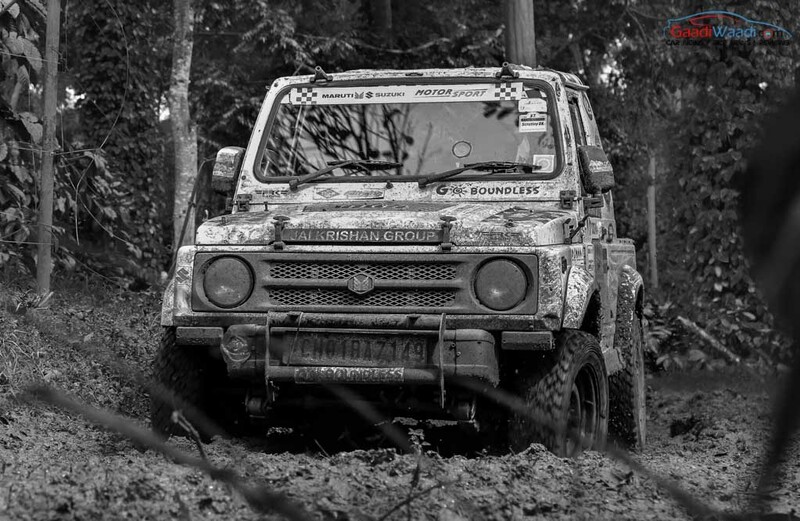 The leaderboard in the Ultimate Cars category remained unchanged with Sandeep Sharma and co-driver Karan Arya behind the wheel of Maruti Gypsy covering the day with time of 06:20:38 in second followed by Jasmohan Saini with co-driver Vikram Thakur, also driving Maruti Gypsy, covering the distance in 06:32:07. 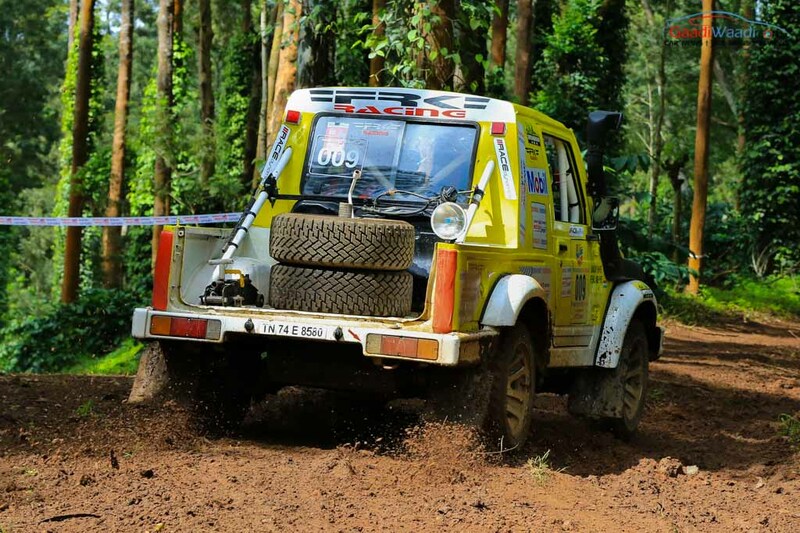 As every day passes by, the contest is getting ever tough as the three stages on day four were on same route around Vani Vilasa Sagara dam. It had the stage extended with distances spread across 153 kilometres with a total distance of 472 kilometres. 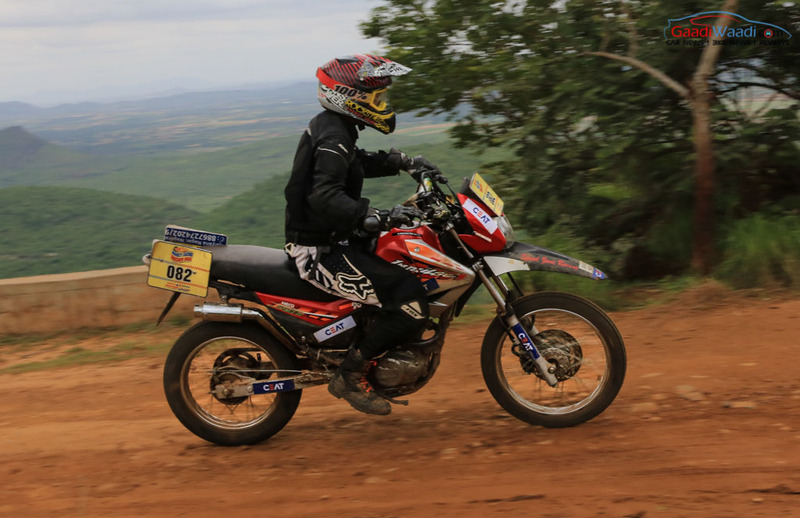 The Ultimate Bikes class saw Febin Jose moving up the order to second position and closing the gap to the leader T Nataraj. The latter covered the stages in 05:52:04 while the former in 05:10:49. 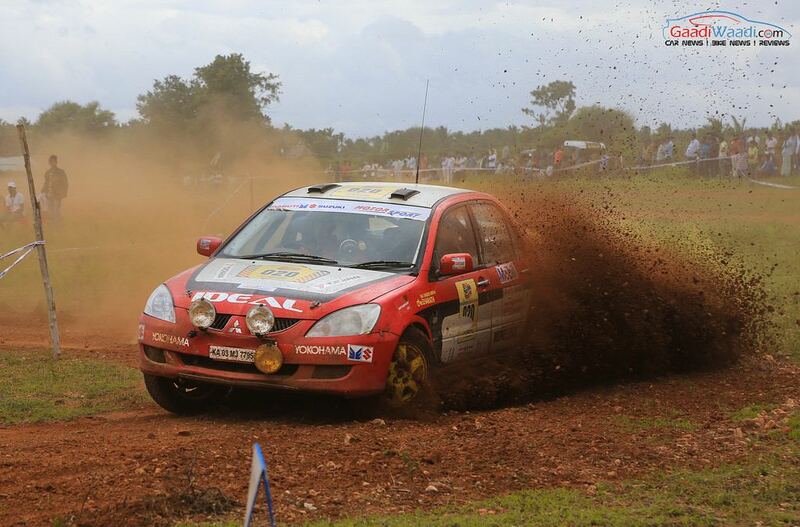 The third position has a new driver as Akash Aithal clocked the miles in 05:56:14. 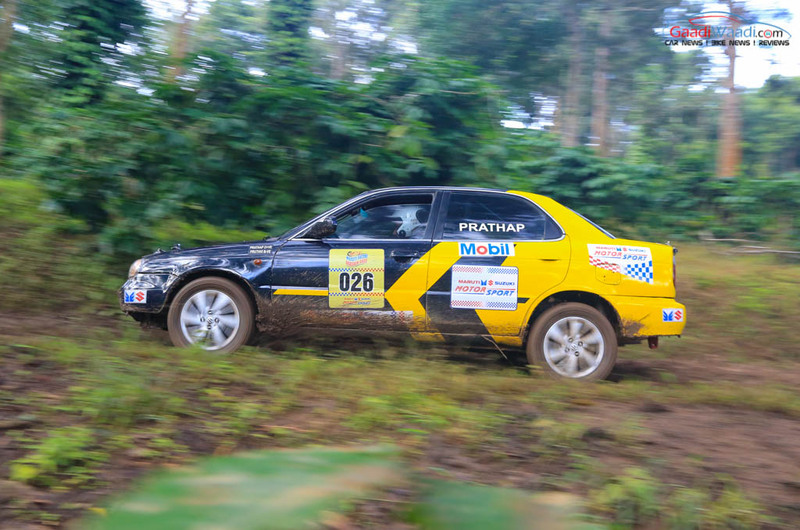 The Endurance Cars division has witnessed Ganesh Moorthy and co-driver Nagarajan T leading the rally with a penalty of 00:16:39 in hand. 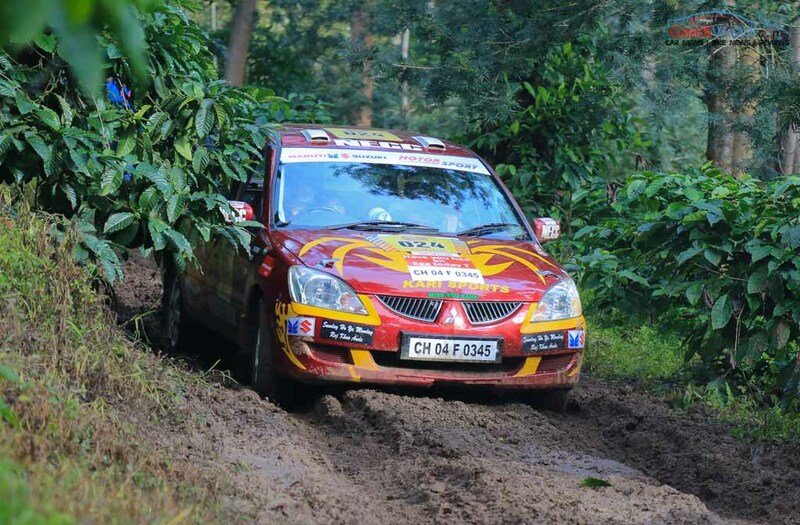 They stay ahead of Raghu Nandan and navigator M Prakash with a penalty of 00:17:06 besides B. P. Vinaykumar and co-driver M Chandrashekar at 00:17:33. 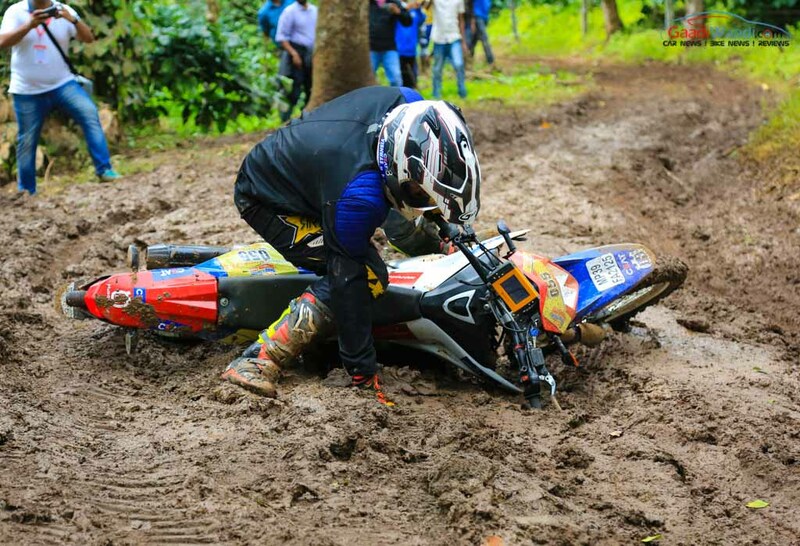 The third day of the Maruti Suzuki Dakshin Dare saw rallyists working their way through the bumpy sections of the leg as their endurance and perseverance were tested to the core. 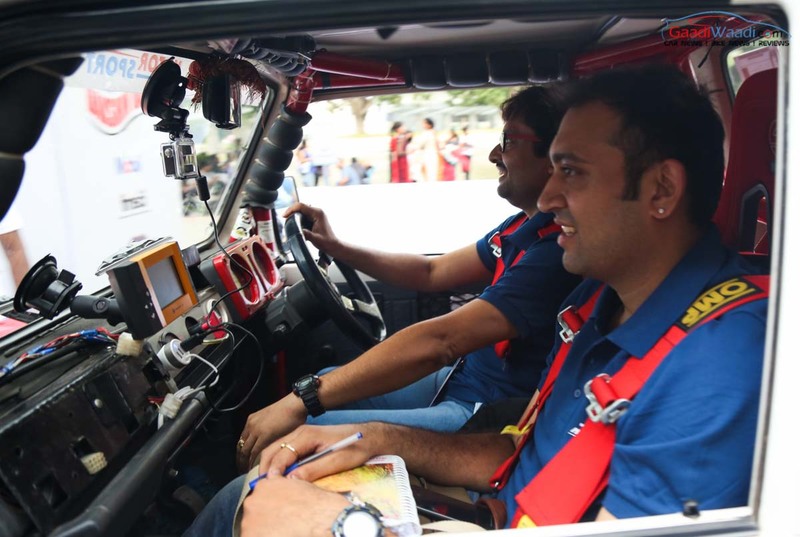 In the Ultimate Cars category, Suresh Rana and his co-pilot Parminder Thakur had managed to maintain the lead as they covered the leg clocking a time of 04:33:66. 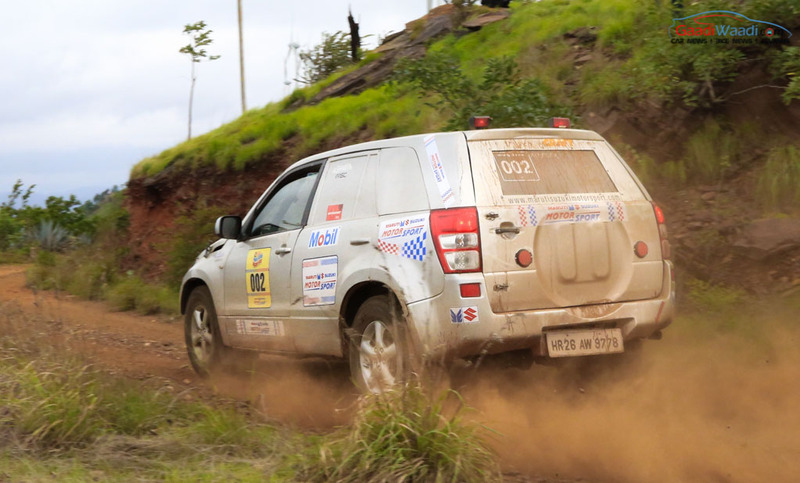 Behind the Grand Vitara pair, Sandeep Sharma and navigator Karan Arya behind the wheel of Maruti Gypsy finished the day second by covering the distance nearly seven minutes slower than the leading duo with the time of 04:40:18. 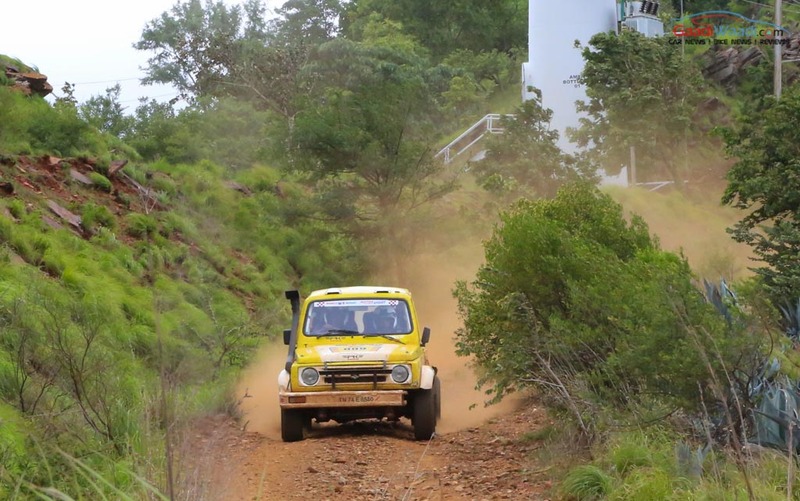 Another Maruti Gypsy car to feature in the top three is being driven by Jasmohan Saini alongside co-driver Vikram Thakur with time of 04:50:35 as they made their presence felt for the first time. The three stages of the leg covered a distance of 382 kilometres and were spread across 103 km around the beautiful Vani Vilasa Sagara dam in Karnataka. 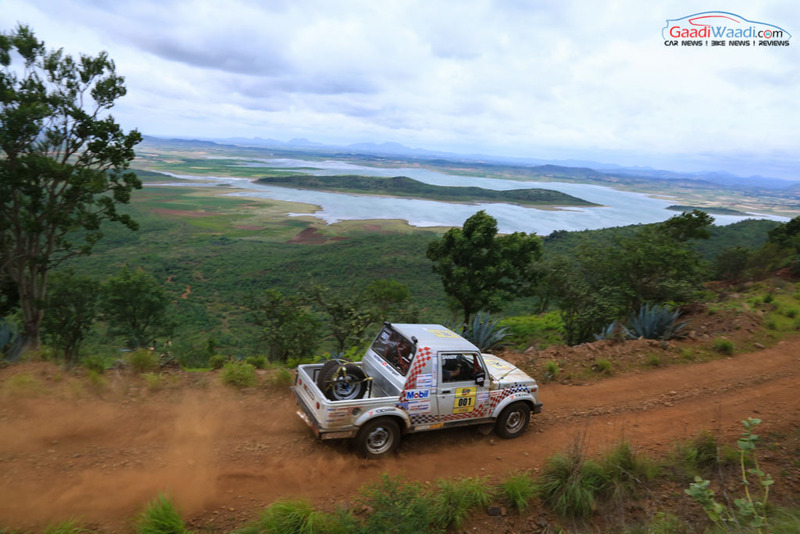 The day played host to a special stage stretching three kilometres in Hosadurga with challenging loops and corners as thousands of spectators were enthralled. 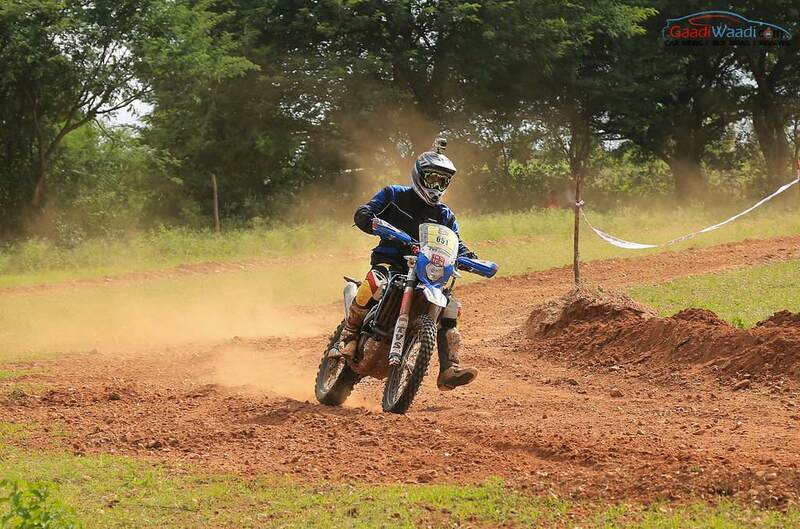 The Ultimate Bike class saw T Natraj leading the way ahead of Sanjay Kumar and Febin Jose. T Natraj posted a time of 03:35:05 who was closely followed by Sanjay and Febin doing 03:49:14 and 04:04:13 respectively. 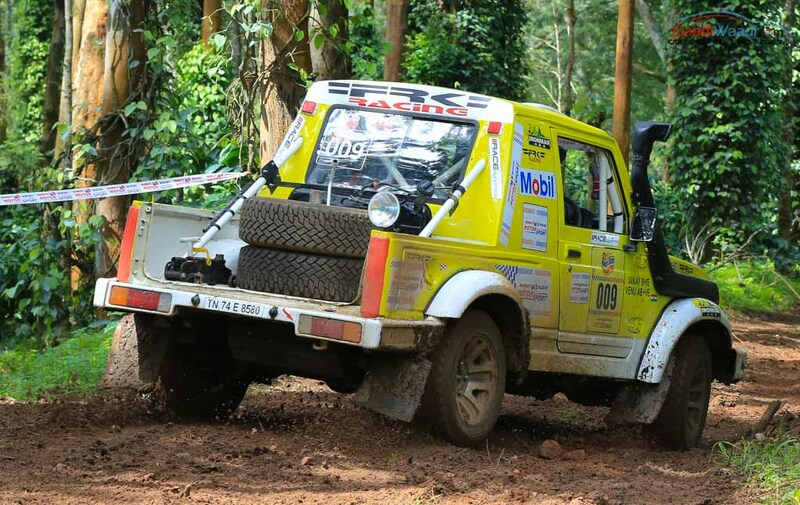 Manoeuvring through the tough terrains and muddy surfaces of Bengaluru and Coorg, the eighth edition of the Maruti Suzuki Dakshin Dare rally event has reached Shimoga, the cultural capital of Southern state Karnataka. 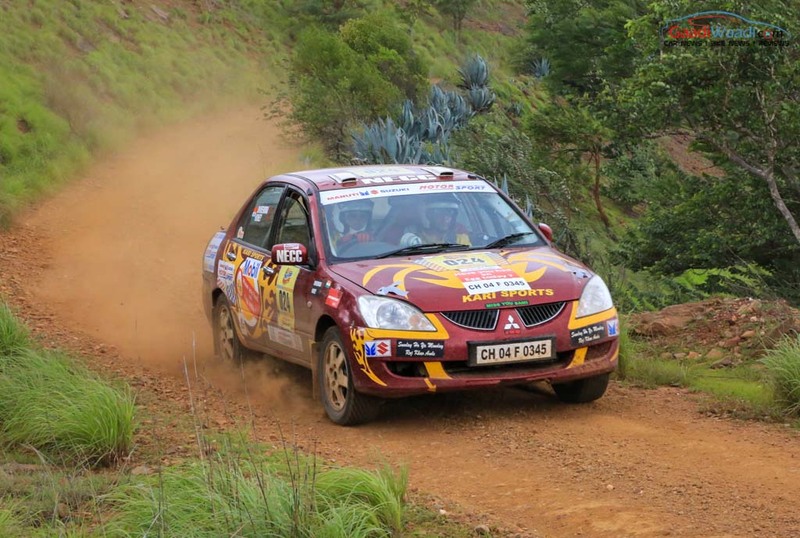 The rally commenced on Sunday as drivers took on some of the difficult and challenging road patches. 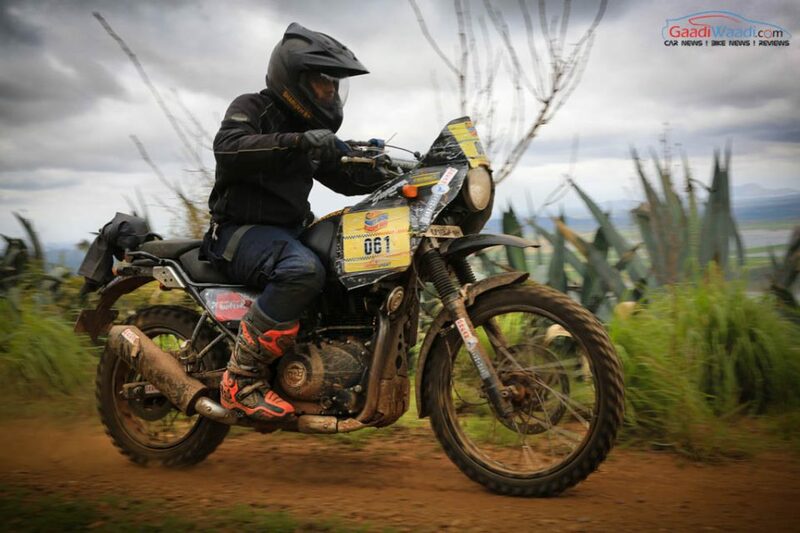 The 190 participants covered a distance of 383 kilometres in the second day of the popular motorsport event with three stages testing the endurance across 63 kilometres. 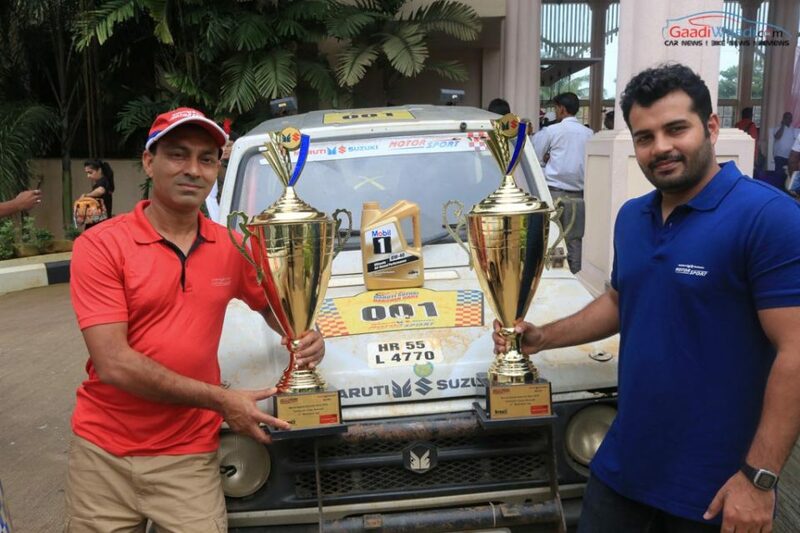 In the Ultimate Cars class, Suresh Rana and his co-pilot Parminder Thakur topped the leader board in a Grand Vitara ahead of Amanpreet Ahluwalia and co-driver Karan Aukta behind the wheel of Maruti Gypsy. 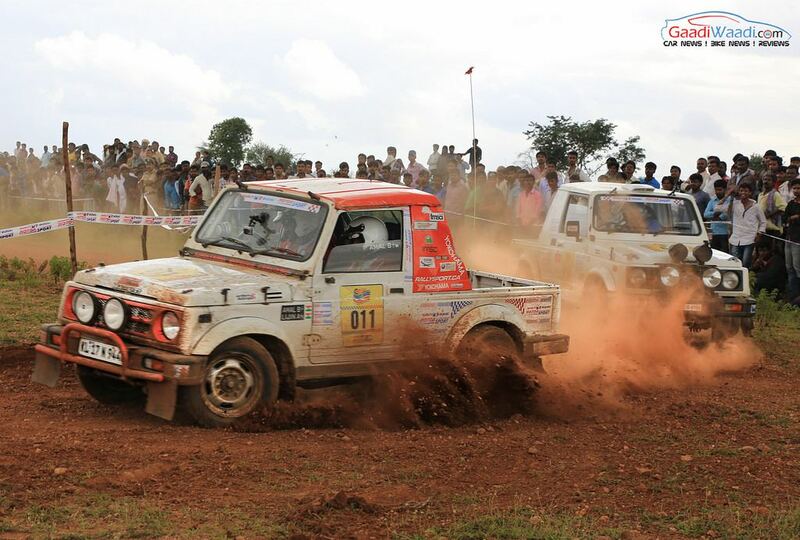 Standing currently third is Sandeep Sharma and co-driver Karan Arya also driving the Maruti Gypsy. 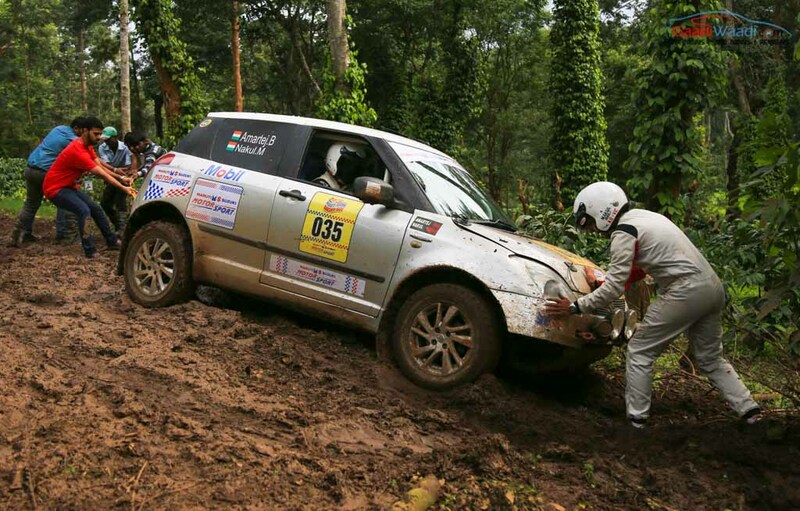 The driving talent of participants were tested by the muddy patches as keeping position in the rally stages was the key. 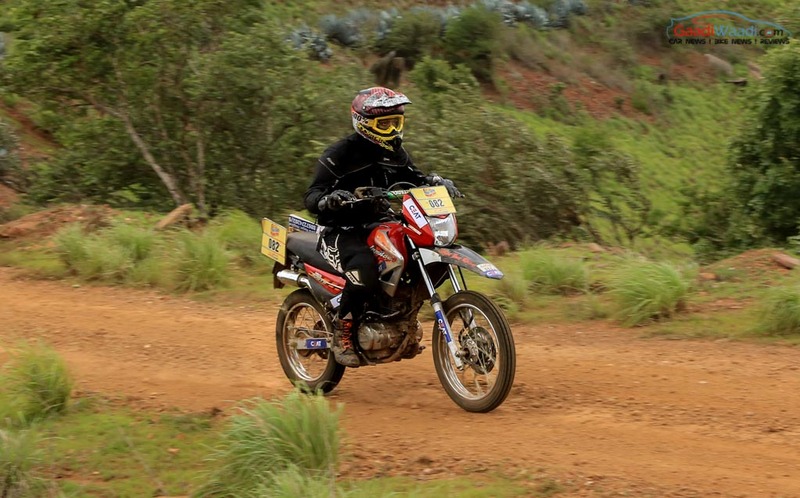 Riding TVS Apache, Abdul Waheed and Nataraj are placed first and second in the two wheeler A-450 category while on the Endurance Cars class Raghu Madan and M Prakash are leading the way just ahead of Ganesh Moorthy and Nagarajan T.
As the rally stages will only get tough over the next two days, expect more thrills and spills as we bring you the comprehensive coverage of the event right at your desk. 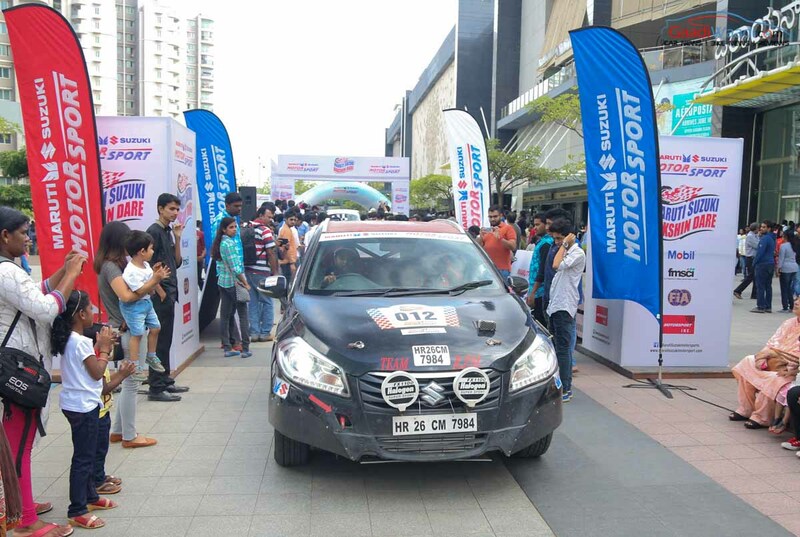 Mr. Ram Suresh Akella, Vice President, Sales, Maruti Suzuki flagged off the 8th edition of Maruti Suzuki Dakshin Dare Rally from Orion Mall, Bengaluru. 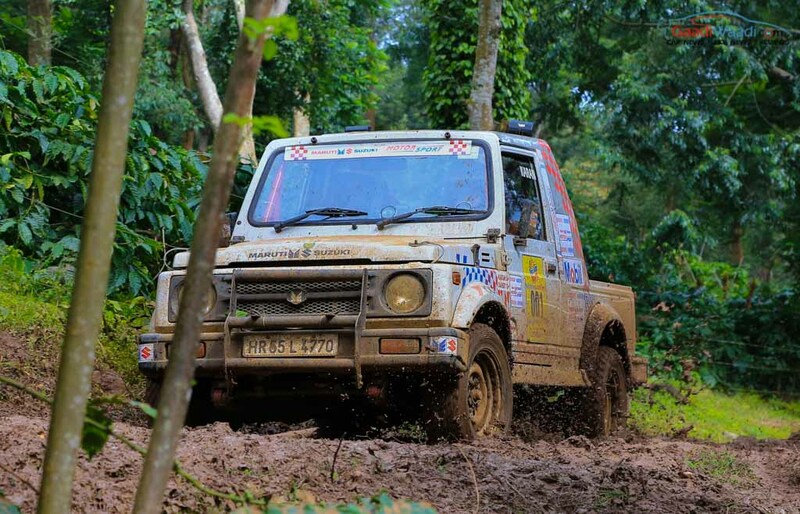 Over 190 motorsport enthusiasts in 110 teams participated in the South India’s biggest rally competition , the Dakshin Dare rally will cover approximately 2200 kms over a span of 6 days. 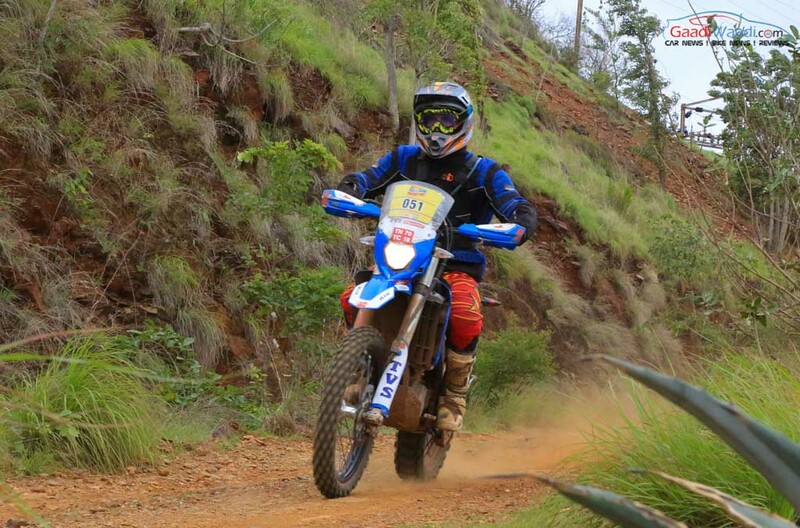 This year, the Dakshin Dare rally will see 16 women compete for the coveted title. 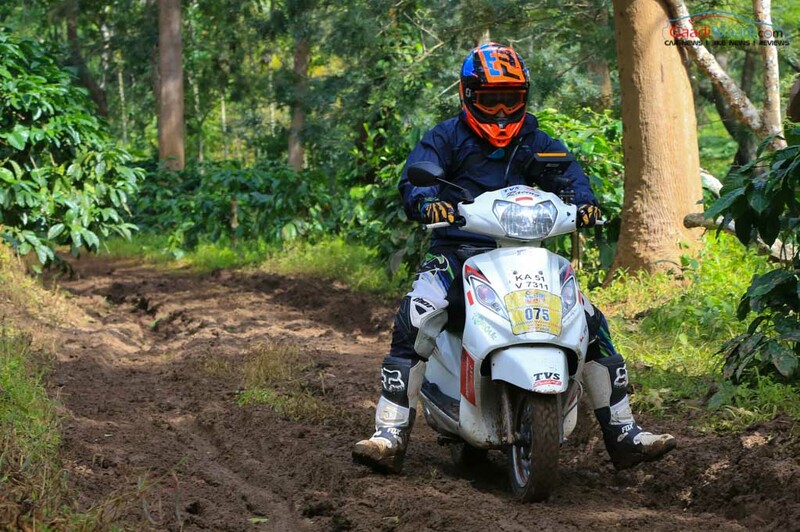 In the rally this year, Coorg, Murdeshwar and Shimoga are the new route and the rally will concluding in Goa on August 6th 2016. 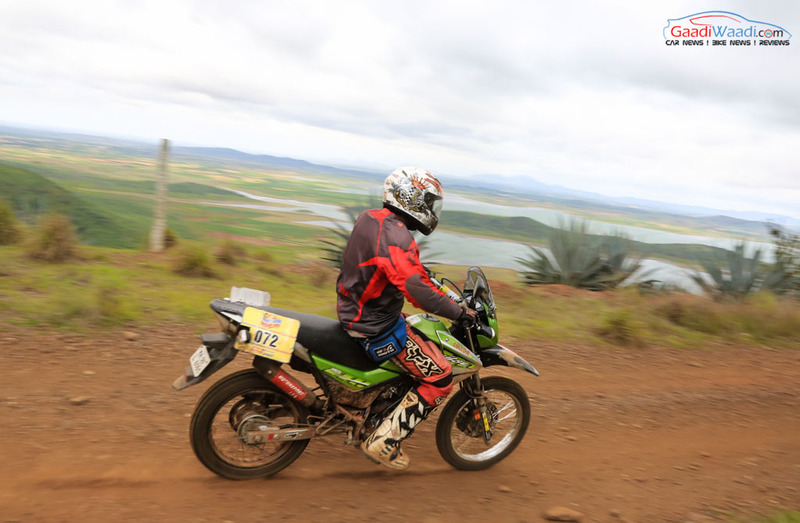 The rally is divided into three categories – Endurance, Ultimate Car and Ultimate Bike. 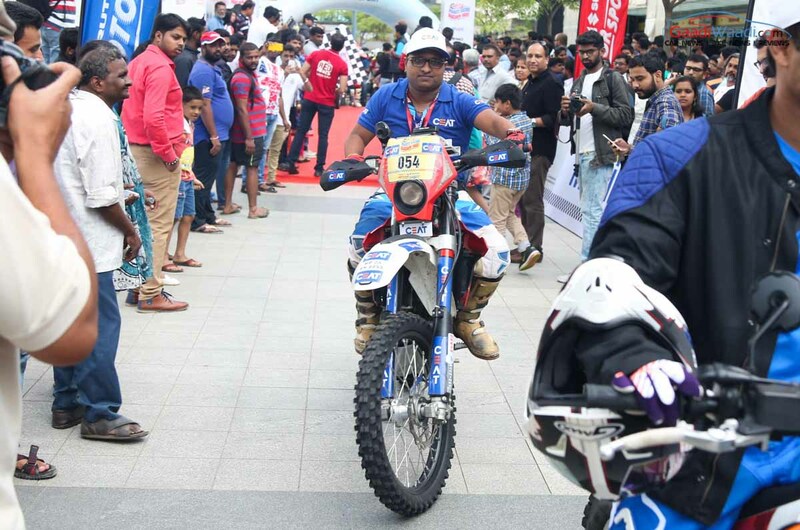 This year too, Maruti Suzuki Dakshin Dare will witness Suresh Rana, nine times Raid-de-Himalaya winner and three times Desert Storm winner competing against Sandeep Sharma, the defending champions in the Extreme category. 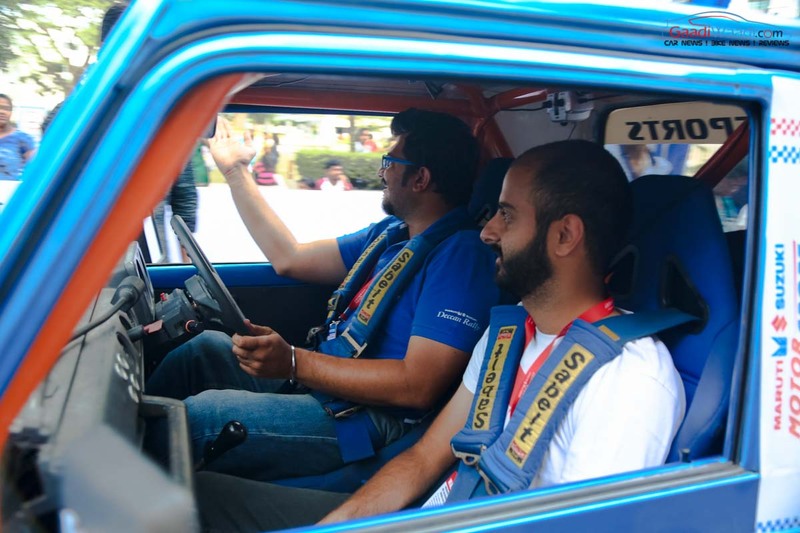 In the endurance car category Jagmeet Gill and Chandan Sen will defend their tittles against strong competition from duo of Karthik Maruti and Sankar Anand. 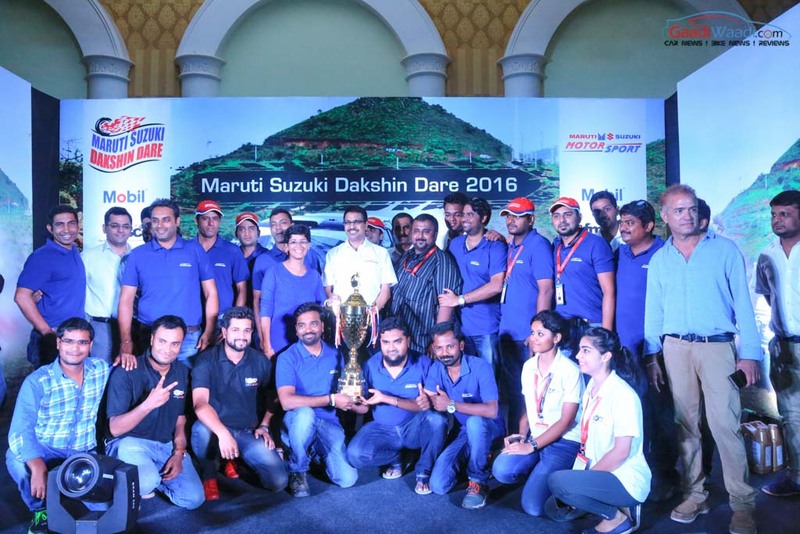 Maruti Suzuki Dakshin Dare was conceptualised to enhance the thrill of off-road rallying experience for motorsport enthusiasts in South India. 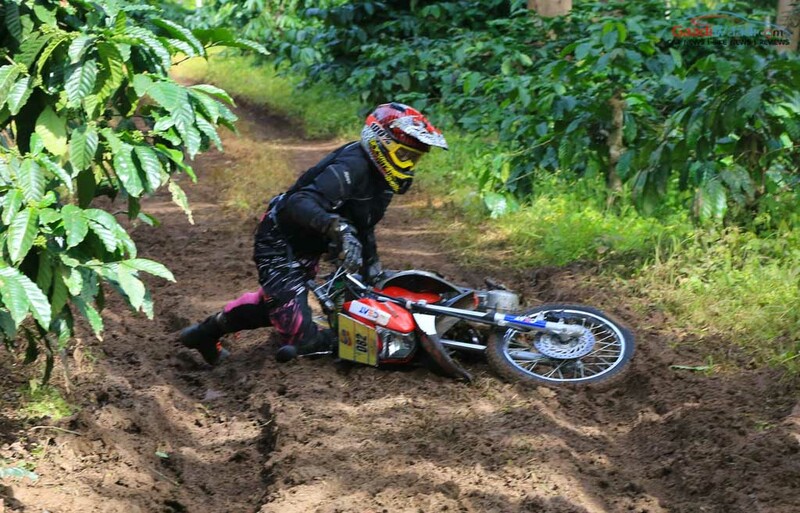 The twists and turns in this area make it even more exciting for the participants especially with the slippery monsoon terrain. Pioneered in 2009, the rally aims to challenge motorsport enthusiasts to achieve greater milestones in their motorsport journey. The increasing participation each year encourages us to strengthen such motorsport events. Mobil’s collaboration with Maruti Suzuki is premised on Mobil’s high performance lubricants and technology leadership. Mobil’s history in motorsports officially began in 1978 with a sponsorship of the Williams Formula 1 team. 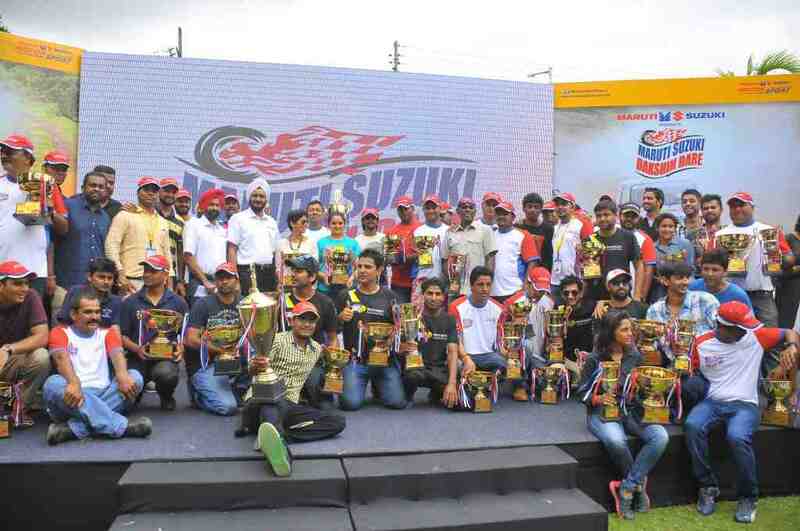 The 7th Maruti Suzuki Dakshin Dare, one of the popular rallies of South India, concluded today in Hyderabad. 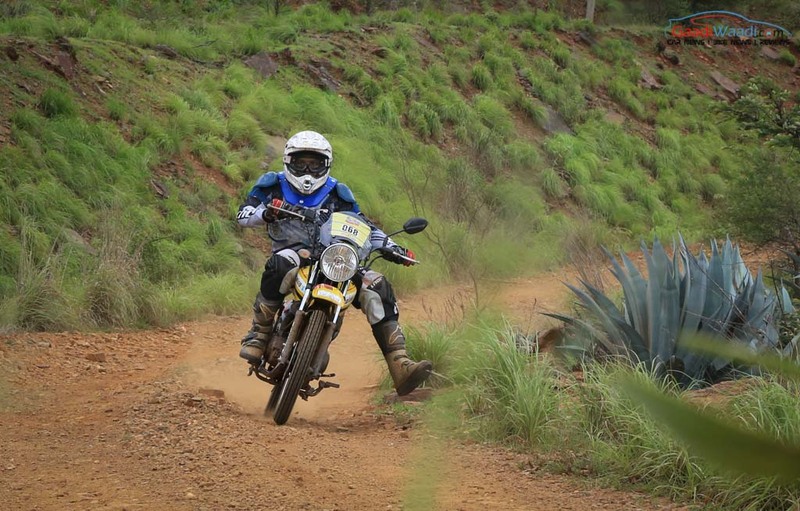 The 105 teams with 170 participants covered a distance of 2000 km as they passed through some of the picturesque locations of Bangalore, Hampi, Bellary and Shimoga. 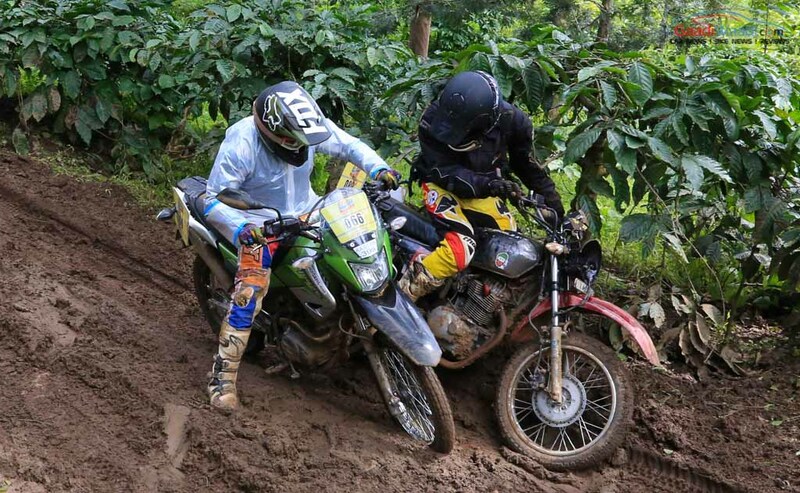 The route filled with winding turns, rock-strewn surface and immense amount of dirt ensured an adrenaline pumping finale. 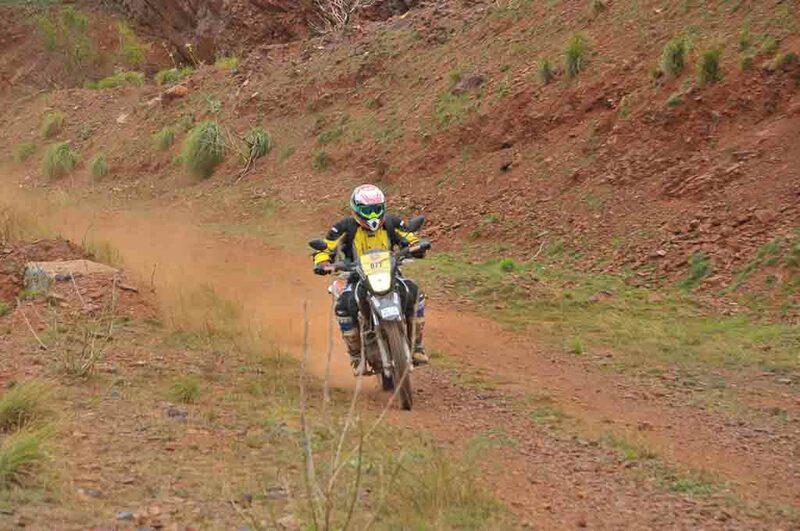 The rally participants covered a total distance of around 450 km on the last day. 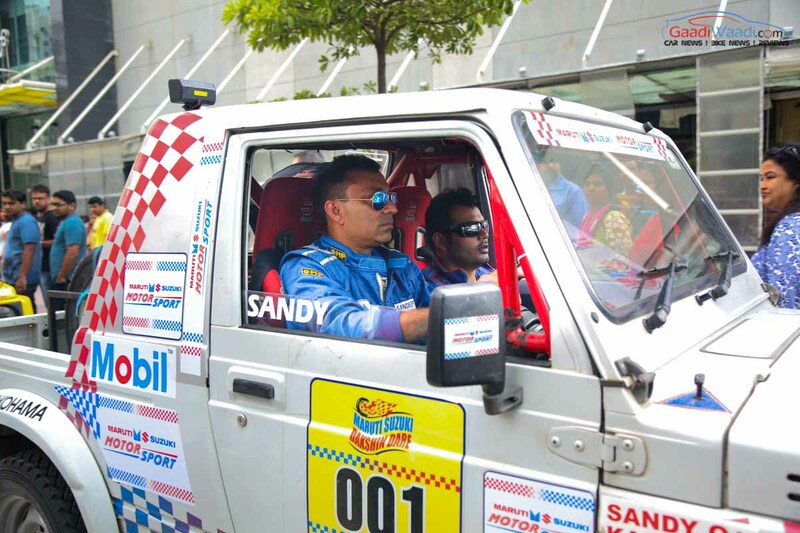 The top slot was grabbed by Sandeep Sharma and Karan Arya in their Maruti Suzuki Gypsy who completed the leg in 4:31:31. 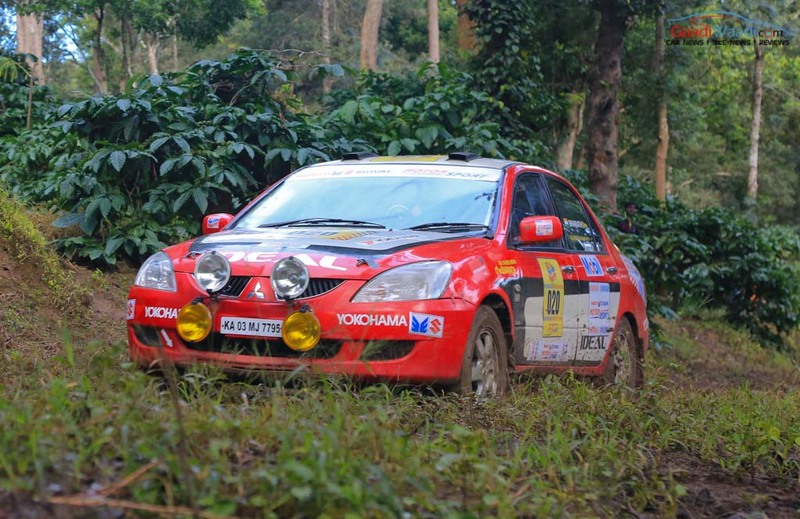 Sandeep Sharma who has already won the previous Dakshin Dare maintained his first position this year also till the end of the rally. 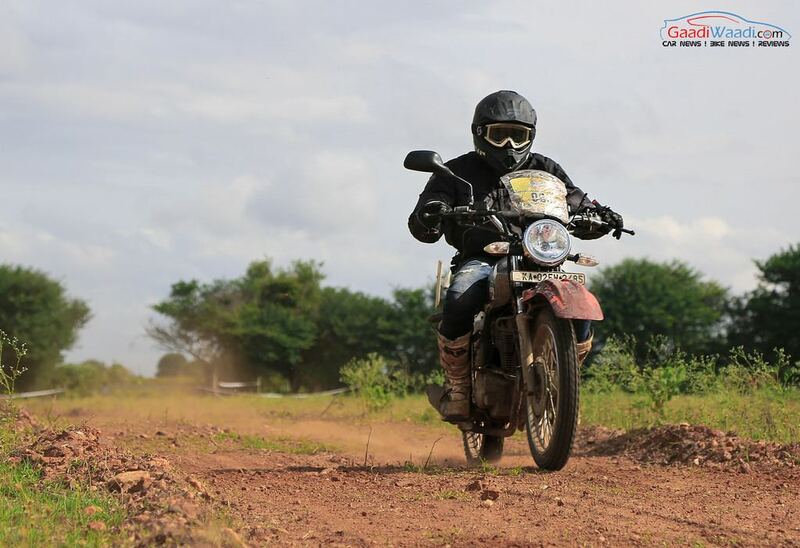 The second spot was taken by Samrat Yadav and his navigator Gaurav followed by Suresh Rana and Parminder Thakur. 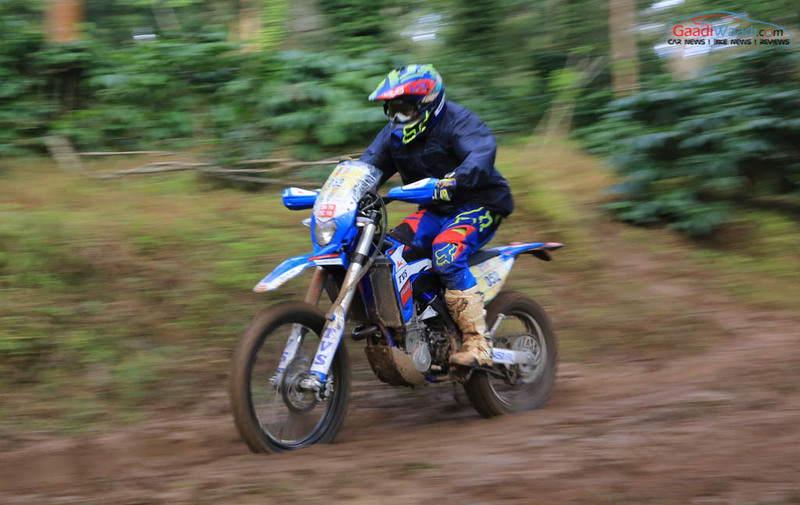 7th Maruti Suzuki Dakshin Dare Bike category saw Arvind K P stood first finishing and the rally with a record-breaking time of 3:54:51 was done. 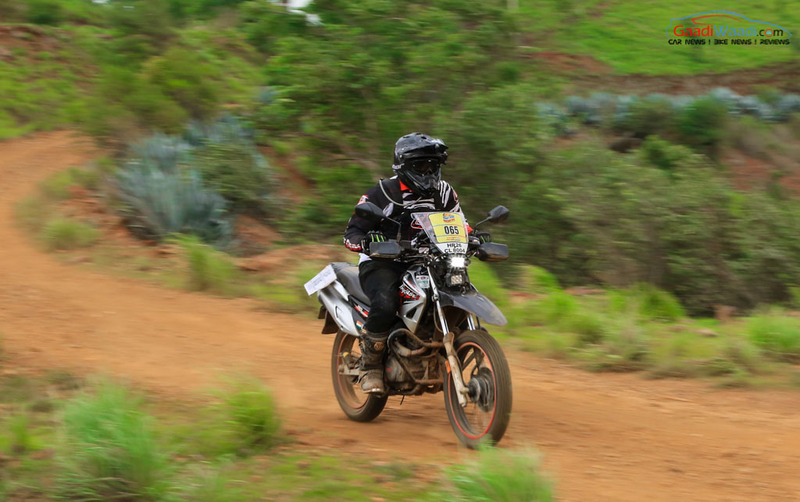 Natraj and Abdul Wahid stood second and third respectively covering the given distance in 4:00:10 and 4:14:15. 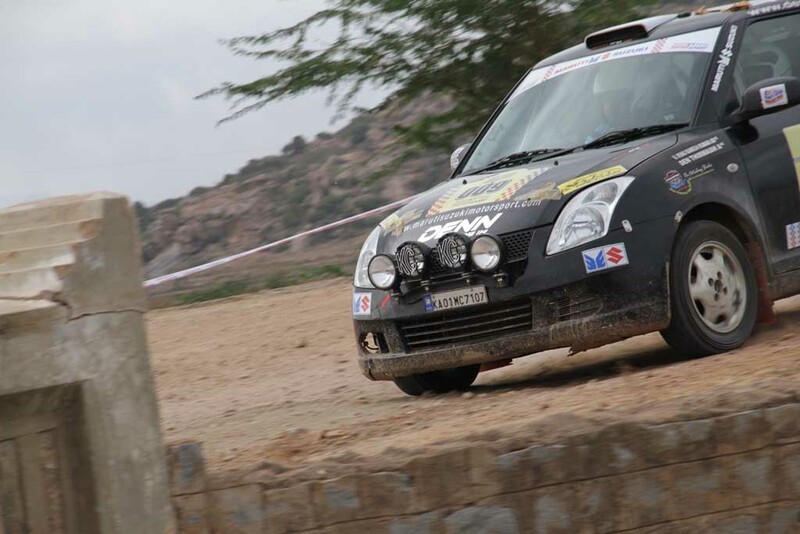 Den Thimmaiah, winner of Autocross 2015 held in Bangalore stood fifth in his first cross-country rally along with his navigator Venu Ramesh in their Maruti Suzuki Swift. 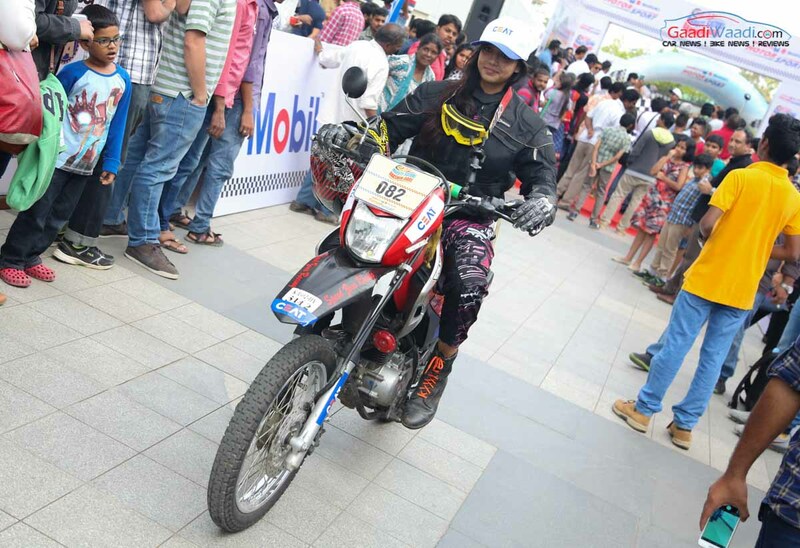 The women participants including Bani Yadav along with her navigator Sukhbann Manns and Harshita Gowda with Rajshekhar Gowda from the Extreme category managed to complete the rally in the end even though they witnessed great challenges throughout the rally. 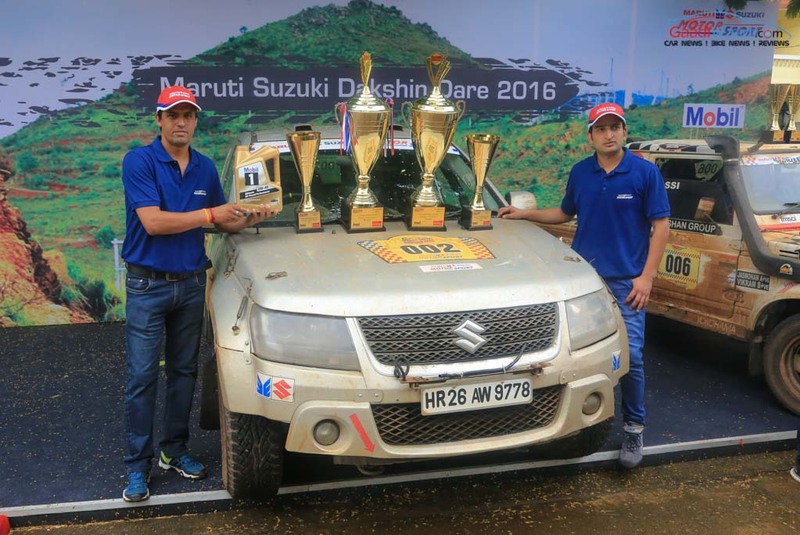 In the Endurance category of the 7th Maruti Suzuki Dakshin Dare, Jagdeep Gill and Chandan Sen grabbed the first position by making it to the finishing line with the least amount of penalty. 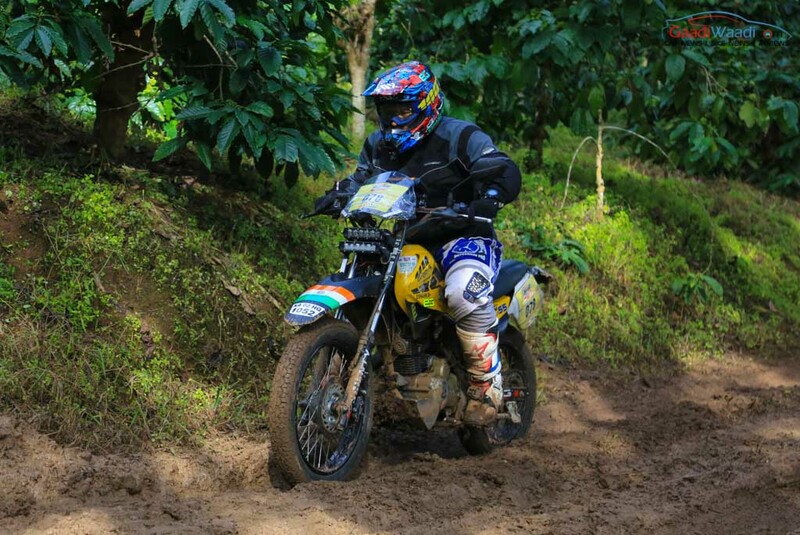 Subir Roy and Nirav Mehta followed suit at second position and Asgar Ali stood third along with his navigator M Musthafa. 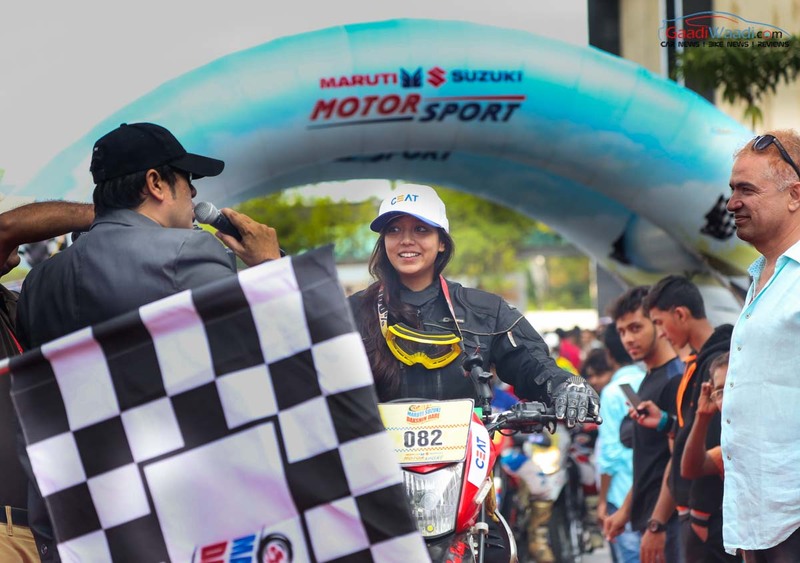 Minaxi Purohith along with her navigator Sagar M managed to reach up to the fifth position in the Endurance category.This year, 9 teams in 7th Maruti Suzuki Dakshin Dare have been sponsored by Maruti Suzuki along with 8 teams consisting of Maruti Suzuki employees. This year’s edition also included teams with corporates.